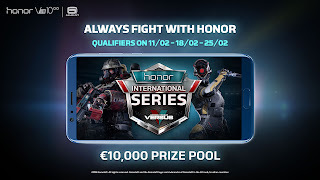 Gameloft, a leader in the development and publishing of mobile games, and Honor are collaborating again in order to organize an esports competition “Modern Combat Versus Honor International Series”. A first person shootout-Modern Combat Versus, offers players a new competitive tournament series in partnership with Honor- Honor,Huawei’s e-brand for digital natives; and Electronic Sports League (ESL), the world’s largest esports company. Honor View 10 features the most advanced Kirin 970 features an octa-core ARM Cortex CPU and a first-to-market Mali-G72 12-core GPU. Together with 6GB + 128GB memory and EMUI 8.0, it unleashes amazing processing power in multi-tasking environment and gaming. Honor View 10 has a special Gaming Suite which significantly increases the performance of mobile games. The 3,750 mAh battery and Honor Fast Charging capabilities make the Honor View 10 ideal for gamers and heavy users. The Honor View 10 is equipped with a high-definition 16MP + 20MP dual-lens camera with F/1.8 wide aperture and 2-in-1 PDAF automatic focusing, enabling users to take professional photos in the blink of an eye. Honor recently rolled out OTA update which has enabled multiple AI enabled features in Honor View 10 such as Intelligent Face Unlock, AI Motion Detection, AI Zoom, Super-resolution Imaging etc. 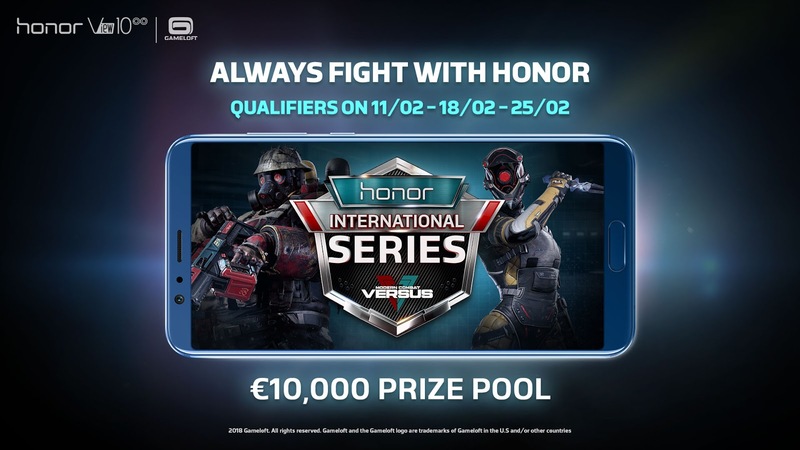 The “Modern Combat Versus Honor International Series” falls within the context of the release of the Honor View10. This newly launched flagship is highly anticipated by gamers for its Kirin 970 fast processor, Honor FullView Display (18:9 ratio), long lasting battery, and Game Suite optimizations. Modern Combat Versuswill take full advantage of all these unique capabilities to enhance mobile gaming experience and satisfy the increasing requirements of game-lovers. More information can be found from here. Download the press-Kit here and subscribe to the competition on ESL website here.